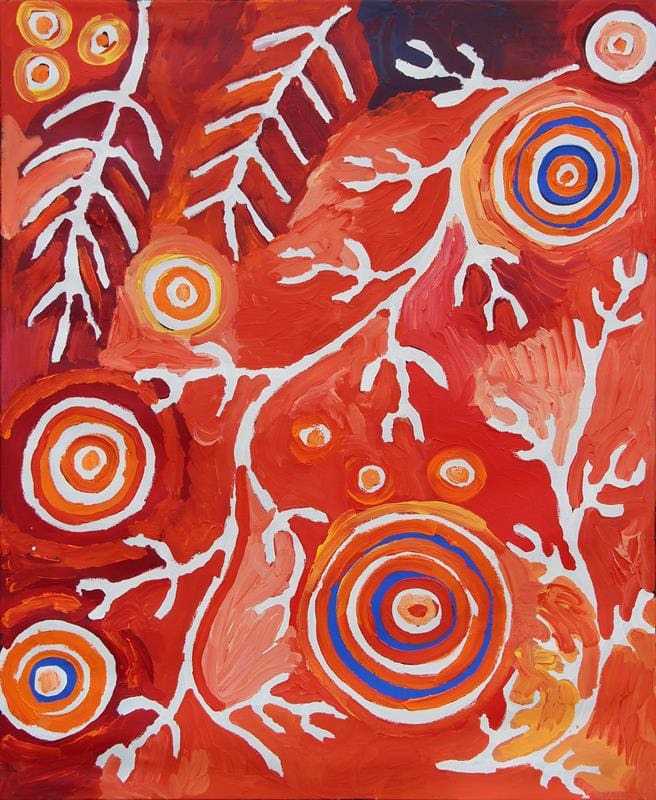 Judith's paintings capture the beauty and movement of the Iwantja Springs found in the heart of the majestic Indulkana Ranges, that lay just behind the community. After heavy rains the deep tjukula (rockhole,) fills with fresh water, forging streams along the dry Iwantja creek bed. The dense bush-land in the area comes to life shooting up new seedlings and bringing plants to flower.